Official ipsw files link for offline installing or updating your iPhone 7 or 7 plus latest version,s for I Phone 7 the official latest version is 10.1.1 and I Phone 7 Plus 10.1.1 also if you know how to update or restore I Phone then download the latest version and update your phone with the latest version with the help of I tune and if you don't know how to update then it,s ok you will find hundreds of videos about how to offline update any I Phone. 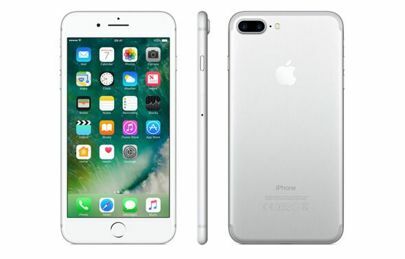 HOW TO OFFLINE UPDATE iPhone 7? FIRST OF ALL BACKUP YOU DATA ON YOU PC.THEN POWER OFF YOU PHONE AND WAIT FOR 30 SECONDS AFTER POWER OFF.THEN OPEN I TUNES (LATEST VERSION MUST BE INSTALL)ON YOU PC THEN CONNECT USB CABLE WITH YOU PHONE HOLD ON THE MENU BUTTON YOU PHONE GO IN TO DFU MODE AND ITUNES WILL START SEARCHING THE LATEST UPDATE ON ITUNES UPDATE SERVER THEN YOU WILL FIND TWO OPTIONS UPDATE AND RESTORE IPHONE CLICK UPDATE BUTTON WHILE PRESSING SHIFT KEY ON KEYBOARD AND SELECT YOU IPSW FILE AND THEN WAIT FOR 10 T0 15 MINUTES YOU IPHONE WILL BE UPDATE.PLEASE DO NOT NEVER EVER ANY IPHONE UPDATE OR RESTORE IF YOU DON'T KNOW ICLOUD ID OR CLOUD IS ON YOUR PHONE YOU DON'T KNOW OR NOT REMEMBER ID.YOU PHONE MAY BE DISABLE.